Fiverr Reinvention and the Giggers! 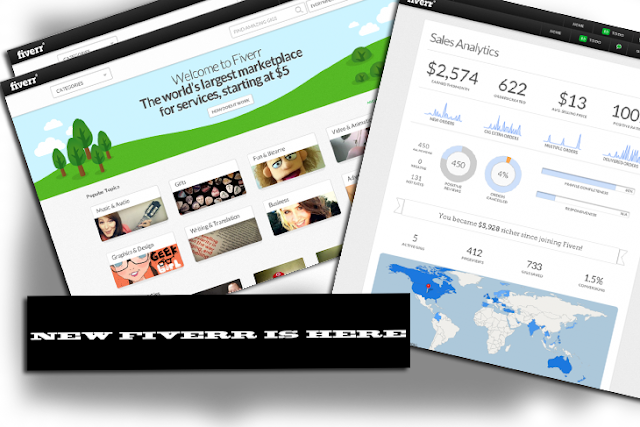 Fiverr is a website that enables everyone to sell their talent or to buy anyone else's. You can sell or buy anything here. It is a place where you can sell or buy anything for as less as $5. It was started three years ago and now it has gained a height on the popularity graph. Now they have decided to make a change and improve it. They have introduced a totally new website and according to them Fiveer has been Reinvented! Many things have been improved and now you can buy anything in less than a minute. It is a great improvement. The new look has been introduced a few days back and now it is open for business. This new look gives more authority to the giggers. Now along with seller's ratting, responsiveness and average delivery time they can also keep a track of revenues, expenses and delivery status. All these features are included in the new Mission Control Dashboard. Now you have information about everything related to you on Fiverr. The sellers can get great benefit from the information like buyer's demography, sales and cancellation rates. Similarly, buyers can keep a track of all orders they have placed and all the searches they have made recently. Facebook Shadow Profiles May Cause Your Data to Get Leaked? The Reinvented Fiverr offers a work flow page that contains all the information of the work you need to do. You can click on an item to start it or get more information. This has made it easy for the giggers to work as they can keep a track of their current or remaining work. This new page won't allow you to miss anything just because of your memory as it serves as an alternative for your memory. The new amazing experience of Fiverr is now available on all the devices you use. You can use it on Desktop, laptop, Tablet or any other thing. There won't be any difference in its working. 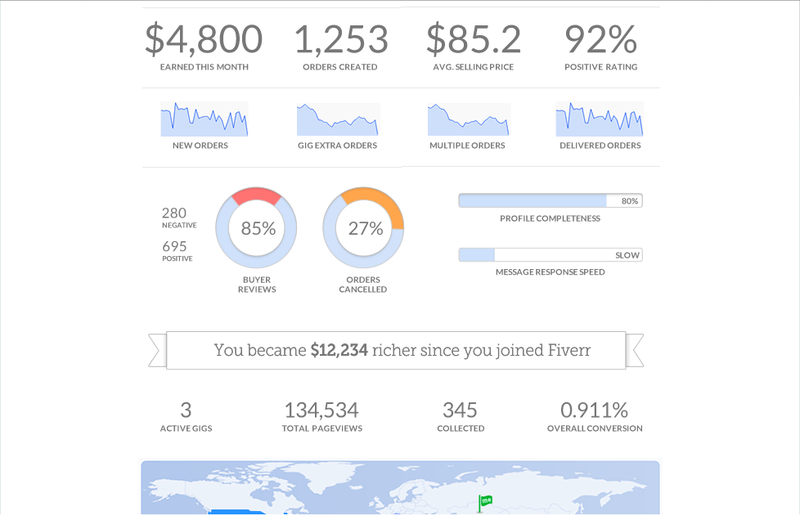 Fiverr was launched in 2010 and now a team of 70 is controlling it. The best thing about this site is that you can sell anything. You can sell what you are good at. It can be related to web development or it can also be related to something like gardening. You don't need to learn something special to sell here. It is all about the natural talent. According to the CEO of Fiverr 1.5 million people use Fiverr each month and even a greater number of people visit it. He says that it is a great accomplishment in just three years and they are looking forward to get more users. They have reinvented Fiverr to make it more useful for sellers and buyers. They believe that freelancing is about sharing talent. There is Something New at BloggingeHow, check it out: 100$ Paypal Cash Giveaway! BloggingeHow | Making Blogging Simpler: Fiverr Reinvention and the Giggers!